When you talk about special fx makeup, most people think of zombies, vampires, aliens and the like. The words conjure up images of makeup that is outrageous, bloody and over the top. Now don’t get me wrong, I love a good monster makeup as much as the next guy. However, sometimes great special fx makeups are ones that you don’t even notice, like an age makeup. A good age makeup is easily accepted as part of the change in the character for that scene. Creating a believable age makeup can be a difficult task. With monster makeup you have some artistic license, but everyone knows what an older person looks like. Especially when that older person is a well-known public figure, like Margaret Thatcher. 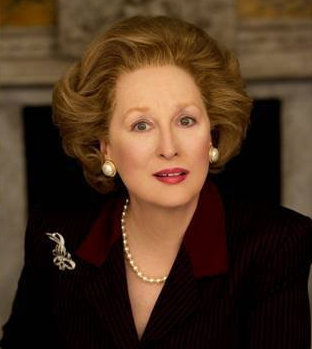 Take the character/age makeup in The Iron Lady. In the clip below Meryl Streep talks about renown prosthetics designer, Mark Coulier, and how sometime less is better when it comes to prosthetics. In the next clip you can see the beautiful work that was done for this Oscar nominated movie. Bravo to a great makeup team that helped bring this movie to life! Here is a listing of the makeup/hair department, copied from imdb.com. Are you coming to IMATs this weekend? There will be lots of prosthetic stuff happenning and brains to pick! Hi Stuart, I won’t be attending the London IMATS. Although I wish I could go, but I can’t afford it right now. I would certainly love the brains in London. I will be going to the LA IMATS (maybe NY too… maybe). Please let me know how you liked the London IMATS. If you have any pictures or comments on the show, I would be happy to post them.